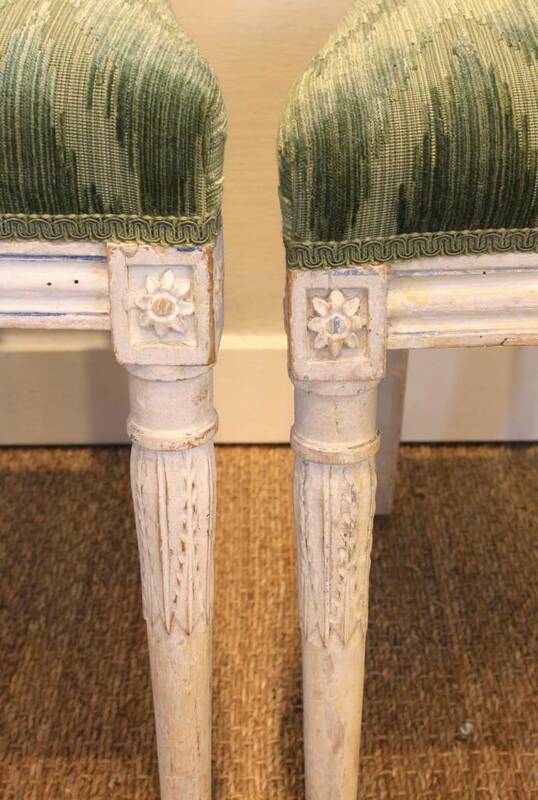 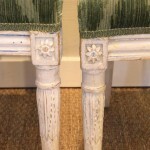 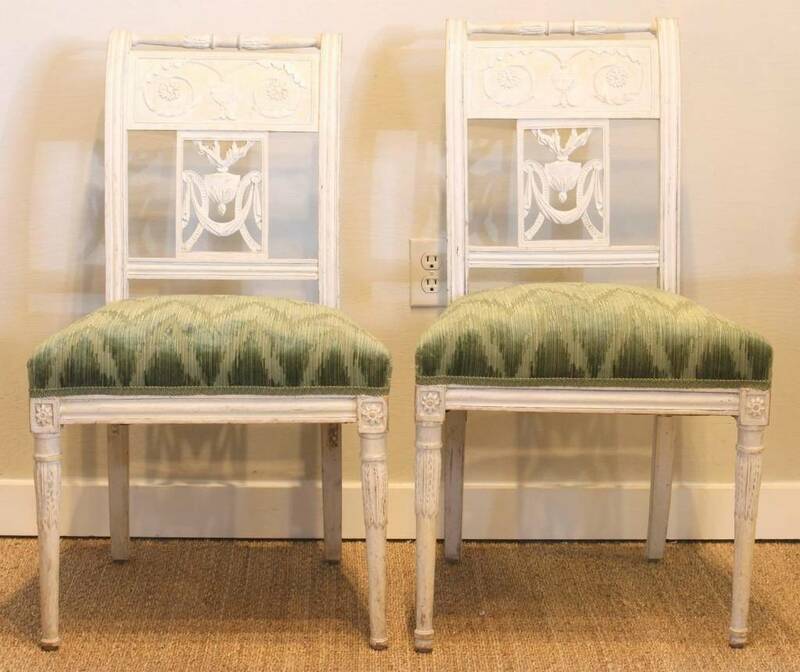 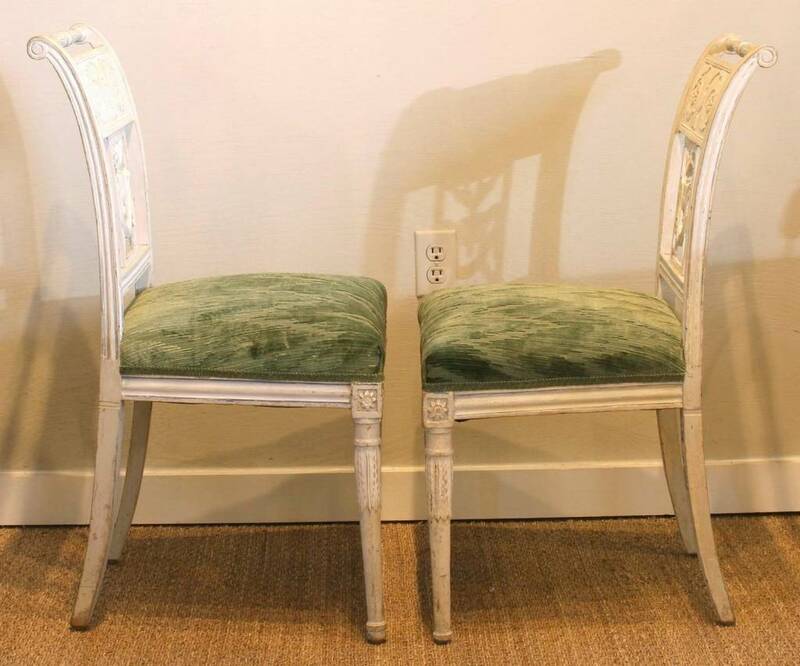 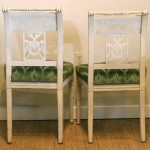 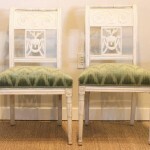 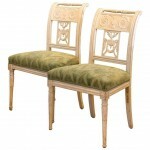 An elegant pair of late 18th century Baltic side chairs with beautifully carved and pierced back splats. 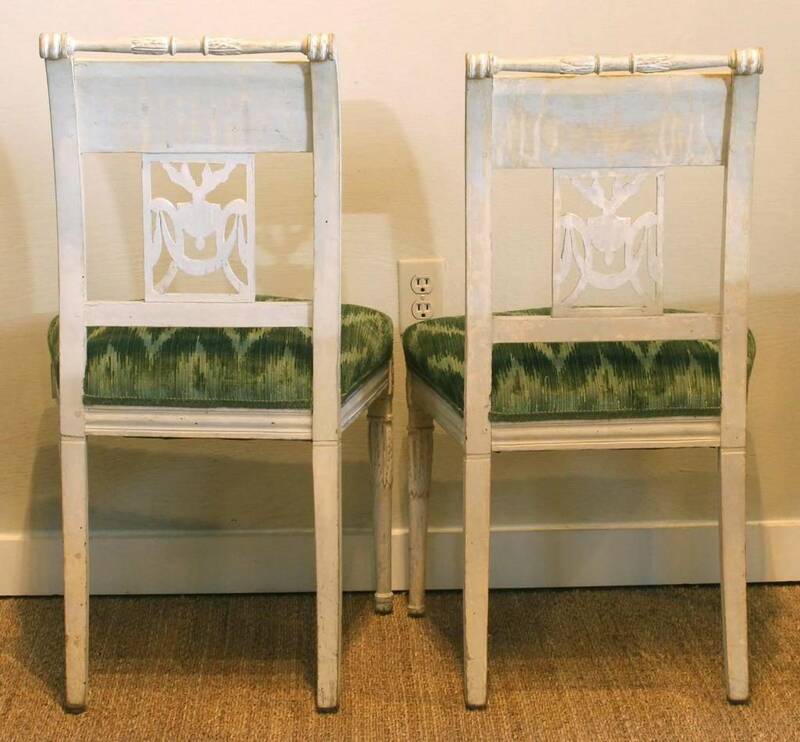 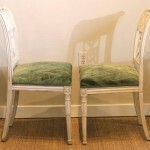 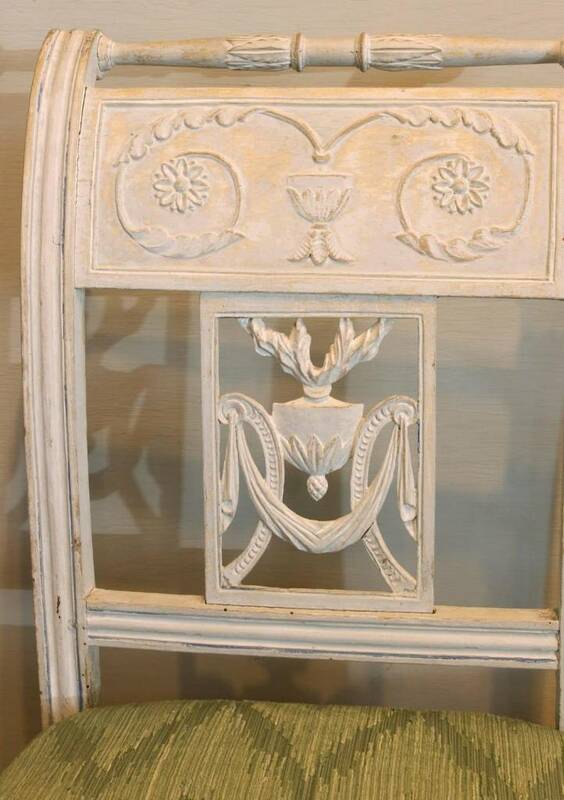 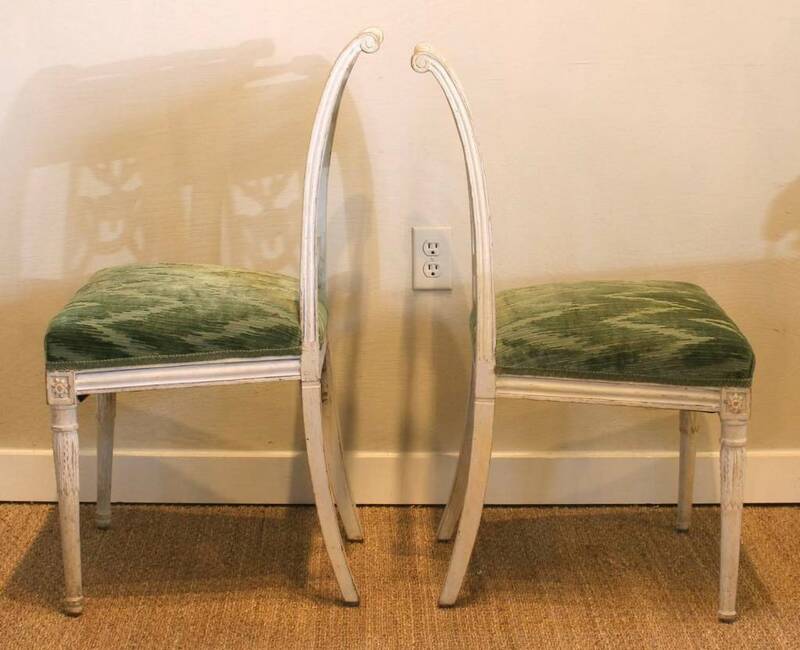 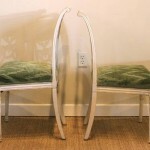 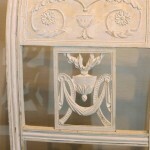 The chairs appear to retain their original flat white paint. 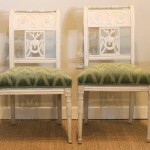 The seats are newly upholstered in a blue-green Colefax & Fowler fabric.